The Protea Hospitality Group is going live with its new R15 million interactive, rich media digital brand.com site on August 1, while at the same time offering travellers a fourfold increase in free high-speed Wi-Fi bandwidth in all its hotels across Africa. The aim is to streamline the travel funnel and the GUEST experience namely researching, booking, experiencing and sharing. The online brand redevelopment encompasses both Protea Hotels (including a unique and slick urban Protea Hotel Fire & Ice! presence) and the superior deluxe African Pride Hotels portfolio. The new digital real estate won’t just be a relaunch of the current proteahotels.com and africanpridehotels.com sites; the front end will be integrated with social technology channels, allow for GUEST social engagement and sharing of video content. “Pervasive 24-hour online access through computers, tablets or smart phones is changing the world and how people interact with it,” says Clinton Arnot, Head of Online Distribution for the Protea Hospitality Group. “It’s changing consumer behaviour generally and particularly the behaviour of travellers in terms of planning, booking methods and behaviour in hotels. The new online presence will include mobi sites, integrated gamification and all social media and networking platforms including Facebook, Twitter, TripAdvisor and YouTube. Protea Hospitality Group Director of Sales, Marketing and Revenue Danny Bryer says to improve the GUEST experience once they are checked in to their hotel, as of July 15 the company will be offering 500Mb of free Wi-Fi per room per day, up from the current 100Mb, in all its hotels across Africa. The Protea Hospitality Group is the largest hotel company on the continent, with some 130 hotels in 10 African countries. Bryer says as a hospitality brand it is critical to review GUESTS’ needs on an on-going basis in order to remain relevant. 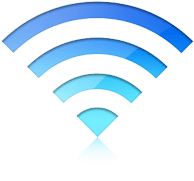 “For the second year in a row global traveller surveys have said the same thing; travellers will book or turn down a hotel on the basis of whether the property offers free Wi-Fi. It’s no longer just a factor in their decision-making; it’s the decision-maker. Hotels.com recently released its 2013 hotel amenities survey, in which more than 8 000 travellers in 28 countries were polled. • 34% say free Wi-Fi is the number one factor in choosing a hotel even on leisure stays. • 56% of respondents said free Wi-Fi was their number one must-have when travelling for business. • 66% indicated free Wi-Fi is the amenity they most wish would become standard at all hotels in 2013. In fact, according to the survey, just 11%of global travellers said they would be willing to pay for Wi-Fi when staying in a hotel. “For us as Africa’s largest and leading hotel brand it’s a no-brainer. Business travel is the lifeblood of the hospitality industry worldwide, and if you’re not listening to what the bulk of your GUESTS want you’re not going to be around for long because they’ll be booking elsewhere,” says Bryer.